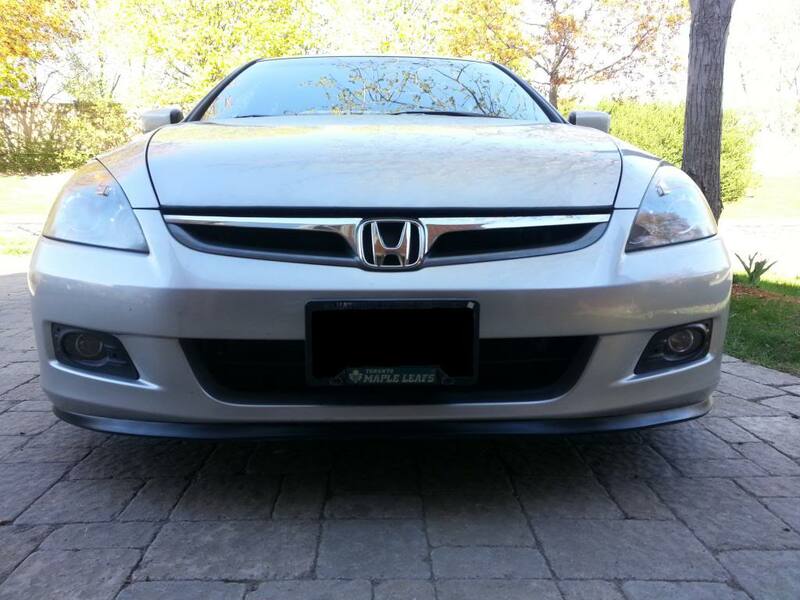 I got a bunch of scratches, even where the paint is partially gone, on the bottom of my bumper after lowering my 2007 Honda Accord EX-L, & just put on an EZ Lip (front lip & side skirts), which will hopefully protect it from now on. Just posting this here to give something back to the forums that I’ve used to help me out countless times… so here’s some pictures for anyone who’s been thinking about this product, or anyone looking for a body kit but couldn’t find anything (I can’t find any kit anywhere and I’m not paying several hundred dollars for one either). 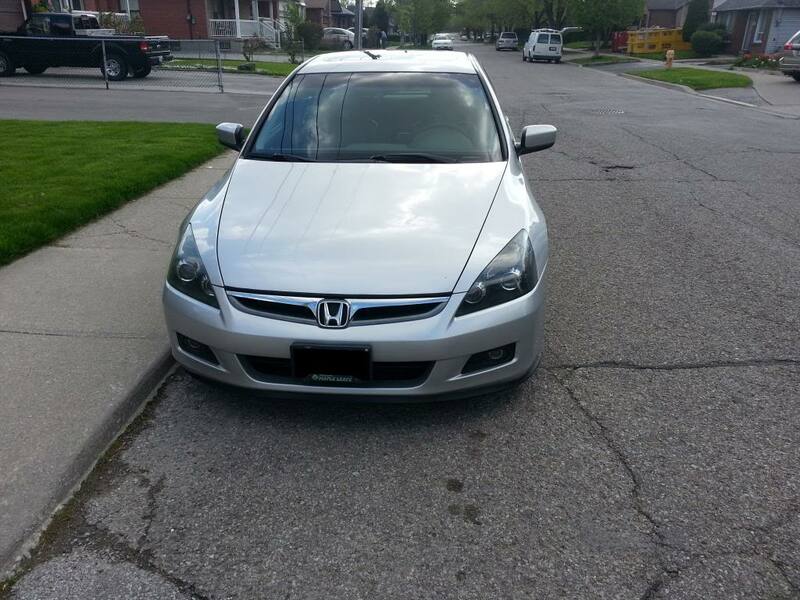 I also couldn’t find pictures of it on my car, or any 7th gen Accord, to see how it’d look. So hopefully this helps someone out there. So after cleaning the areas, peel back the red cover on the tape, and heat up a foot length of the tape at a time for about 30 seconds, then the body the car for a few seconds, and slowly apply the EZ Lip. Once you start, it’s easy, just follow the outline of the car, and heat up the tape & car as you go. If you screw up at all, it’s easy to just pull off a small section & keep going. Once you’re done one section though.. I had trouble cutting off the extra at the end of the EZ Lip that extended beyond the body.. mostly because I used the worst scissors in the world… but eventually it worked out. That’s the only complicated part. As for the actual product itself, I’ve only had it on for a week. I didn’t mind the look of it not being shiny, but if you want it to be (and I did), apply tire shine to it and it looks amazing. I like the way it looks on my car and so has everyone else so far.. not that I really care, I just want something to protect the front bumper & this looks like it’ll work if something happens. Lots of MASSIVE pot holes and ridiculous ramps to parking lots in Toronto…. Also, I don’t think it’ll just fall off at any point randomly (the tape is really good)… even if it scratched against a curb or something it would just easily bend, and bend itself back, which you can’t have with a real body kit. Also, if this is the wrong place to post this, someone please move it. I also know you can’t see much from some of the pictures but it’s the best I could do for now due to the weather & limited time..
Looks great man! Im digging the way your car looks! I have a 06 same color. where did you get those headlights? I am looking for some like that! did you have to do anything different when hooking those lights up or do you just put your existing bulbs in the unit and your good? 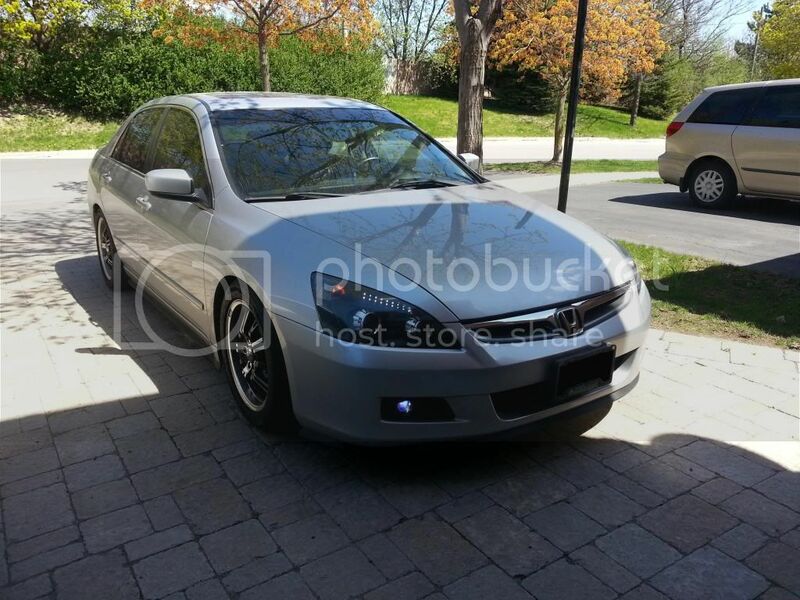 I really want to get some of those headlights but I dont know what it takes to install them? also where did you get the fogs and how do you hook those up? Car looks sic man I like the way the EZ lip looks! good job! The headlights are stock, but retrofitted TL projectors on the outside, and FX-R on the inside (high beam). Don't do that though, the TLs are way too big so there's a mountain of problems with the lights. I have to re do them with either FX-Rs only or a mix of those and Morimoto mini. Best place to start is theretrofitsource.com. The problem is some random guy did mine first and butchered them, then someone else fixed them up but it's too difficult to fix.. so I'll be selling off the TLs and FXR projectors as is, or whatever people want them for soon. They'll be taken out of the housing (not selling the housing cuz there's problems). Anyway that website tells you where you can either go to, or send your lights, or buy a new pair of lights and they can do a custom job for you. The fog lights are from a Ford Fusion, got them from some guy on some forum can't remember where, but they only work for me cuz I used to have those cheap fog lights from k2motors or whatever it's called and used their housing, and put lexan glass in front of those projectors. I didn't hook any of those up myself, a retrofitter here did it. They all require d2s bulbs and ballasts, etc. Check out that retrofit website it tells you everything. I will check out that website for sure man! Thanks for the info! 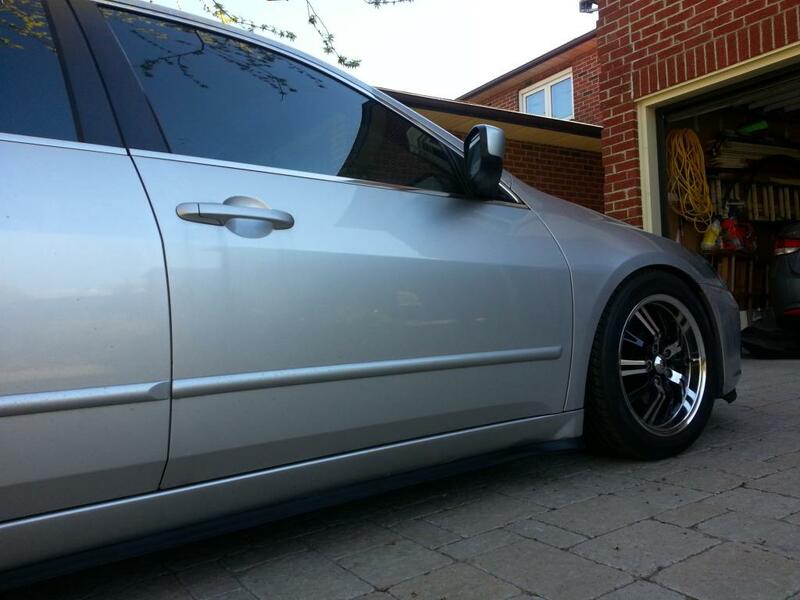 Do you have lowering springs on your car? That is another thing i am looking in to! 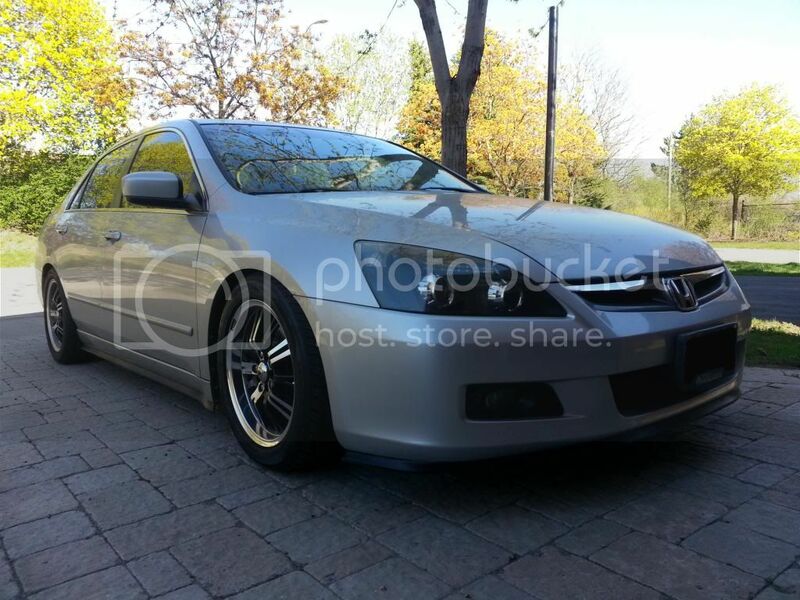 Yes it's for the Acura TSX 04-08.. spring rates are about the same & the fit is the same. I have 0 complaints about them, and they're comfortable. Bought it from there too, with the EDFC (you'll want this).. however it's updated now & looks way better than what I have.... You'll also need the Ingalls camber kit. I'm 100% sure about that because I needed it. Dang those are expensive what if I just want to go with lowering springs not coilovers? What I need ot camber kit if I just put lowering springs on? Not sure if you need the camber kit if you only get springs. You can Google that.. I spent a thousand hours googling everything for my car. I did get coilovers over springs though cuz I didn't like how I couldn't choose the ride height with springs. I think, not sure, that if you get springs you still have to deal with your factory shocks, etc, and the ride won't be as comfortable... but you should find people who got springs instead, see what they say. And btw those coilovers used to be about $2000, not including the EDFC, or camber kit. Also if you can find other people with lower prices, heeltoe's owner will likely give you a discount, especially if you get the camber kit, etc. He did for me. What is EdfC and what does it do? I would eventually like to get a coilover setup but I do not have that much money right now. either way just look on the forums for what people prefer, that's what i do.. I got ya man. 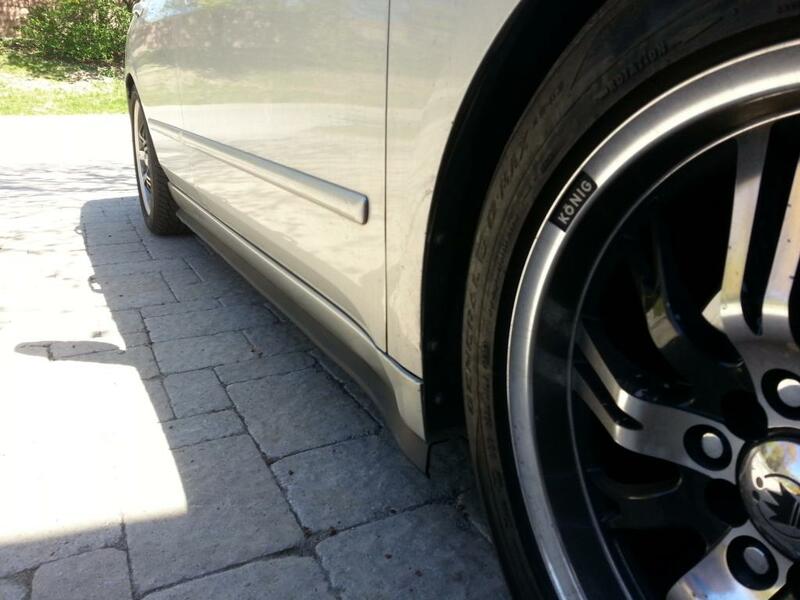 Yeah i have been doing some research it sounds like you dont need a camber kit unless your dropping over 2and inches. But i will eventually get those coilovers. I just want a "for the time being' lower car lol. Thanks for your help stoked to see what u mod in your car next. I need yo catch up haha!